Bigger is better, right? That’s why there are more hotel mergers and acquisitions in recent years; there are also many hotel chains are building larger loyalty programs to pull in more travelers. Besides hotels, Airbnb and OTAs (online travel agents) also want to get bigger through acquisitions. As Sears is getting through bankruptcy and closed hundreds of stores, the company plans to open three smaller stores — Sears Home & Life on the Memorial Day weekend, which will only focus on the appliance, mattresses, and home services. The size of these smaller and specialized Sears stores ranges from 10,000 to 15,000 square feet, less than one-tenth of an average Sears store (155,000 square feet). It is uncertain, however, whether Sears is trying today will help the company turn around its business, with some critiques saying that Sears opening smaller and specialized stores is “a very old strategy” that will amount to “zilch.” At least, Sears is making efforts to fight back with other specialized stores like the Home Depot and Lowe’s. citizenM, a microhotel brand that positions itself as a place for “affordable luxury” received a cash boost last month from a giant Singapore government-run fund for 25% stake of the business. 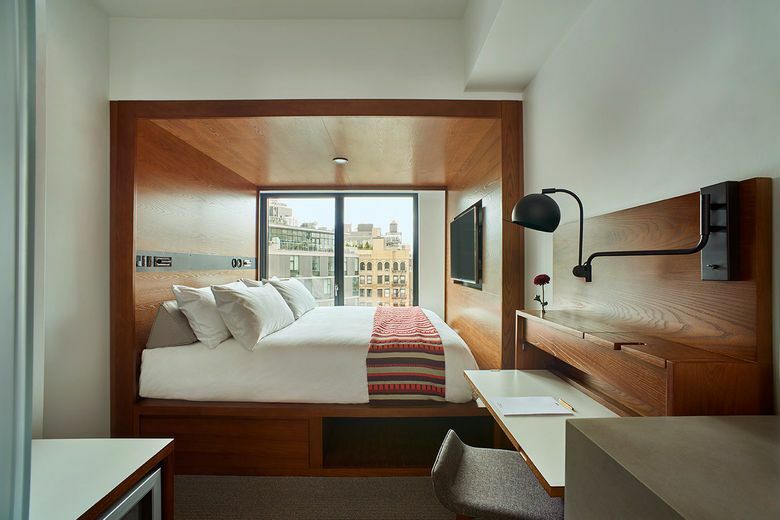 Similar to other popular microhotel brands in the market, such as The Pod Hotel, Yotel, and Arlo, citizenM offers smaller (or “micro”) guestrooms with open space for social activities, including a “living room,” a canteen, and a cocktail/coffee bar. Marriott debuted the Moxy Hotels brand in 2013, where guestrooms are small but with urban and functional designs. The brand is also known for its “flexible” functional space. Wyndham recently revealed the prototype of its new hotel brand — Microtel. This award-winning economy hotel brand targets travelers who usually stay in the economy and midscale hotels.